Board Your Dog With Us. Stay & Ski at Squaw Valley. Come Back to Play With Your Dog! 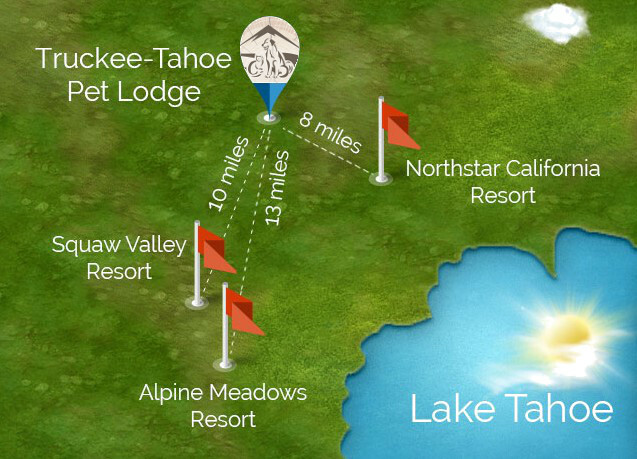 Are you planning a trip to Squaw Valley in Lake Tahoe? 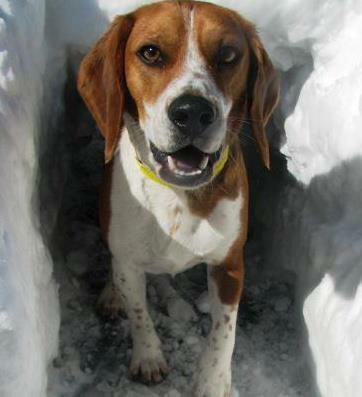 Bring your dog with you to Squaw Valley Ski Resort to play with you in the snow this winter. Drop your furry friend off on the way to Squaw Valley at Truckee Tahoe Pet Lodge. Go ski and stay overnight in Squaw Valley while our friendly, pet-loving staff pampers your dog worry-free in our all service pet resort, located just a 15-minute drive from Squaw Valley. Most Squaw Valley condo/hotel rentals won’t take your dog or — have hefty fees and pet restrictions that limit what you can with pets. But we’ll be your nearby trusted dog daycare and boarding facility. Bring your dog to Squaw Valley! Your dog deserves a great vacation too! Don’t leave your dog behind in the San Francisco Bay area or greater Sacramento area. You can still co-vacation with your dog in Squaw Valley when you board your dog with us. Let us care for your dog with lots of love, stimulating activities, exercise and a visit to our luxury dog spa while you play on the slopes. 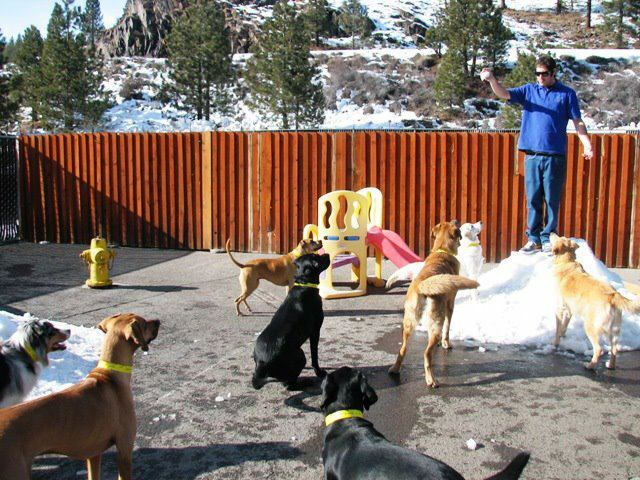 Come back to our pet resort to check your dog out during our office hours and play with him/her in the Lake Tahoe Basin. We’ll spoil your dog with a comfortable, overnight stay in one of our luxury dog boarding suites. 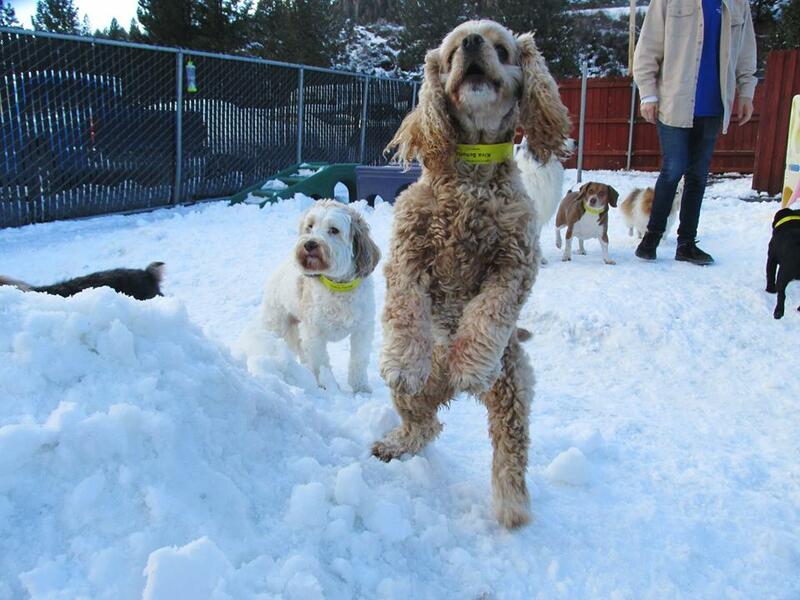 Give your dog a comfortable stay in our luxury dog boarding facility near Squaw Valley. We offer safe, clean, and spacious dog boarding suites with raised, chewproof Kuranda beds in our climate controlled facility with air handling systems for optimal health, air filtration and temperature control. 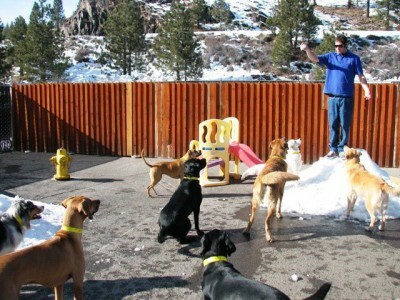 Our highly trained dog professionals ensure your dog feels safe and has a great vacation near Squaw Valley too! Bring your dog with you to Squaw Valley for an awesome co-vacationing experience! We’ll care for and give your dog loving attention until you are ready to pick him/her out for a day of Lake Tahoe fun. There are plenty of dog-friendly things to do in Squaw Valley and Truckee. Pick up your dog for a winter hike along the Emigrant Trail or another one of Lake Tahoe’s hiking trails. Not ready to hike solo with your dog? Join Truckee resident Carmen Carr for a monthly guided hike in the Truckee and Tahoe areas. We have plenty of terrain for cross country skiing and snowshoeing with your dog in Squaw Valley and its surrounding areas. Take your dog with you on a cross country skiing adventure along two trails that allow dogs, the High Trail or the Outer Loop trail, or to Blackwood Canyon and the Tahoe Cross Country Ski Area in Tahoe City. Grab your dog from our luxury dog boarding facility and spend the day relaxing at one of Lake Tahoe’s dog-friendly parks and dog parks. Relax in the sun, play fetch and exercise at Tahoe City Dog Park or the new Unleashed Dog Park in North Tahoe. Make your co-vacation to Squaw Valley even more fun by taking your dog out to eat with you. Squaw Valley has dog-friendly restaurants such as Fireside Pizza Co, Plumpjack Cafe, Sandy’s Pub and more. Dogs love souvenirs too! Take your dog shopping in Truckee or Squaw Valley. Visit Scraps Dog Bakery, Tails By the Lake or the Pet Station for some pet-friendly shopping.